one door sill for each door (R & L). 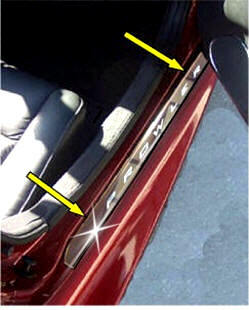 For those meticulous Prowler owners that care about the little details! Looks professional - like it came with the car stock. Really dresses up your Kat. Made of pure Bright Shiny heavy gage Stainless Steel with a Brushed logo. This sill mounts over your factory mounting screws and includes replacement screws with flat heads. Your mounting screws will no longer be visible with this sill. 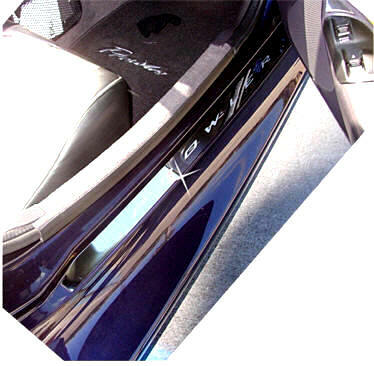 Includes a professional "Prowler" word brushed vinyl aluminum sticker. Looks etched - lasts the life of your car. Will not fade, stain or rust. Easy to install. This item contains two sills one for each door. Made of pure Bright Shiny heavy gage Stainless Steel with a Polished logo. 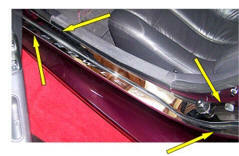 The Highest Quality Prowler Door Sills in the world. Car Show Quality Part! Each side consists of two pieces that form a molded fit with the sill and trim area. This is a two level full door molding that goes from where the door opens on its hinge to up the side all the to the window and seat top. 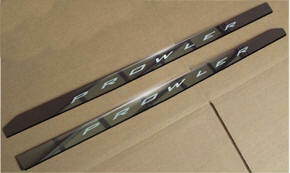 Includes "PROWLER" etched aluminum stickers on each sill. 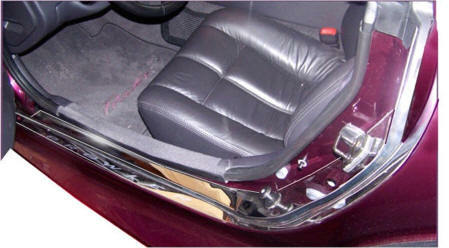 Stunningly beautiful and eye catching these sills are of the highest show car standards in materials and craftsmanship. Once you install it you'll want to just look at it all day. Will not come off on the road even by vibration or pot holes.